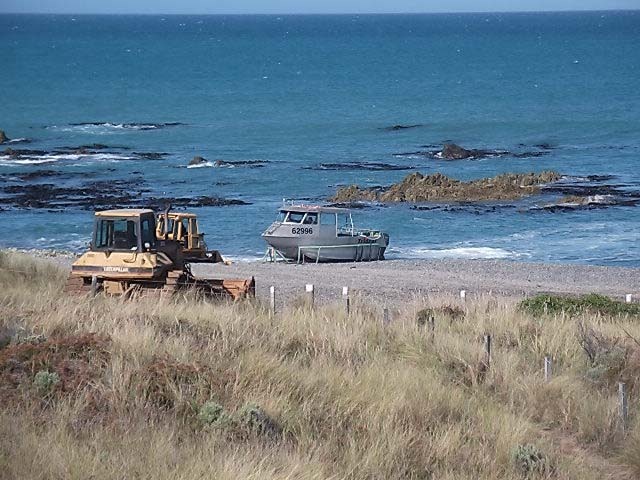 We have finally managed to upload the video of the boat launching/retrieval at ward Beach. 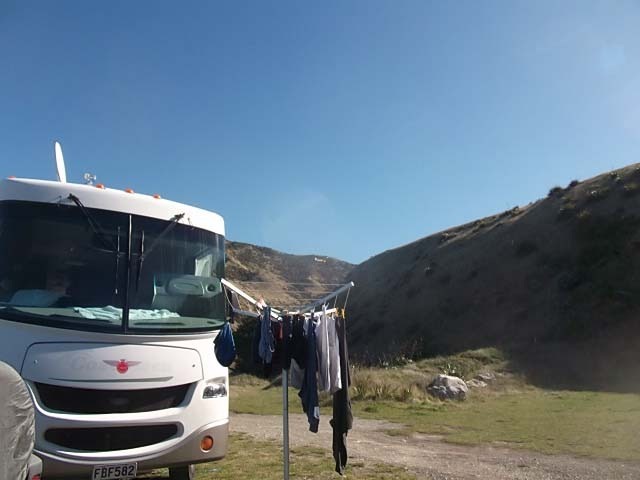 We left Parnassus with the intent of travelling to Ashburton or thereabouts, however, a change of plans (yet again) and we ended up at another Motorhome park at Weedons which is just south of Christchurch near Rolleston. However, it has given us a decent internet connection. The trip was uneventful, the parking spot uneventful, however we did wake to thick fog this morning. 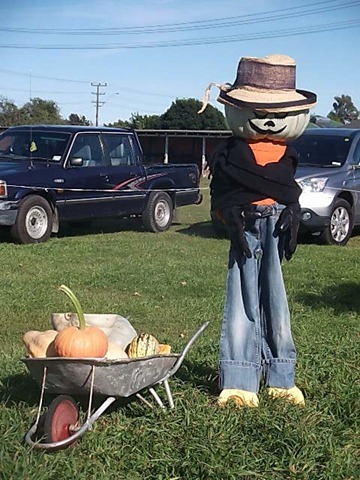 We are off to Ashburton today as it is Andre’s 2nd birthday on Wednesday, Anzac Day. We will be staying in the area for a week as it is Theo’s 4th birthday next week. Hopefully some (successful) fishing will be done in the interim! 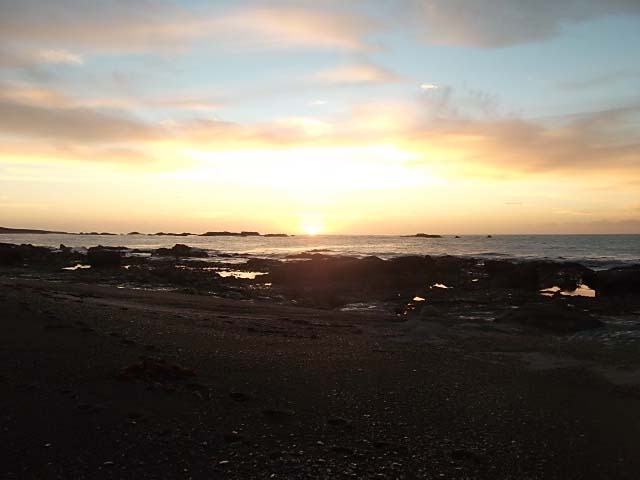 Before continuing, about a kilometre north from Wards Beach there is a rock outcrop known as Chancet Rocks. This is reached by a walk along the seaside in shingle (quite hard walking). The reward at arrival is a large seal colony with a mix of seals of all ages. 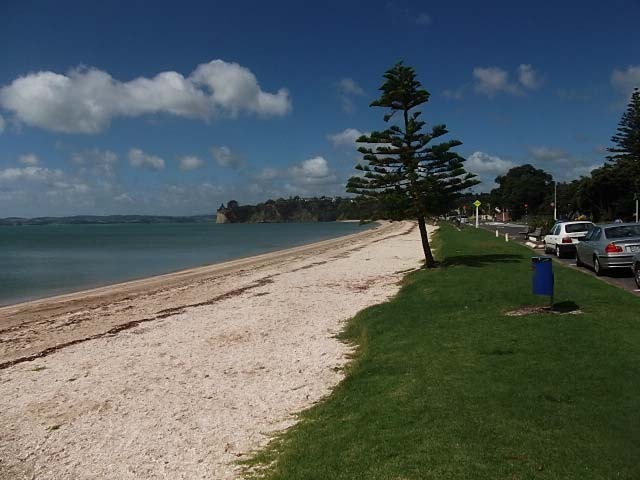 Well worth the walk of you ever find yourself at Ward Beach. 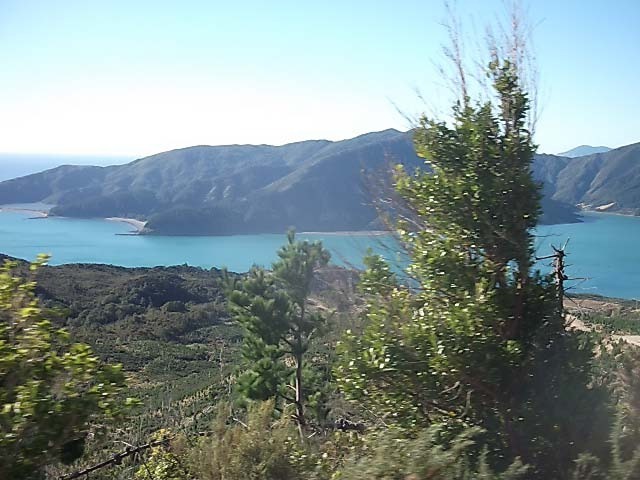 The road to Kaikoura always presents interesting views and is different each time one travels it. Time, tide weather and mood all combine to give a different perspective. 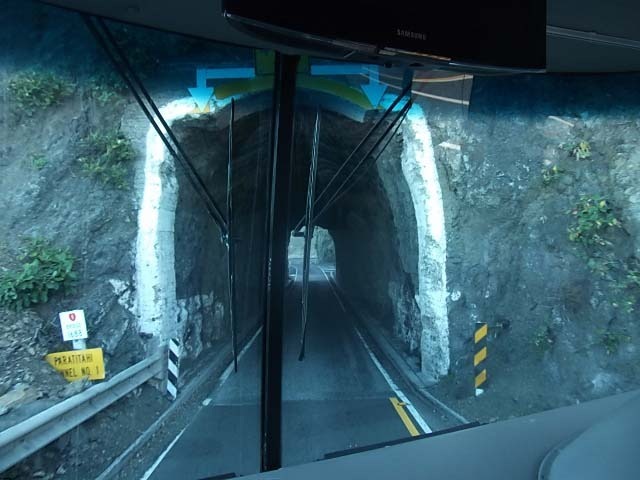 The various tunnels on the road never cease to provide interest. 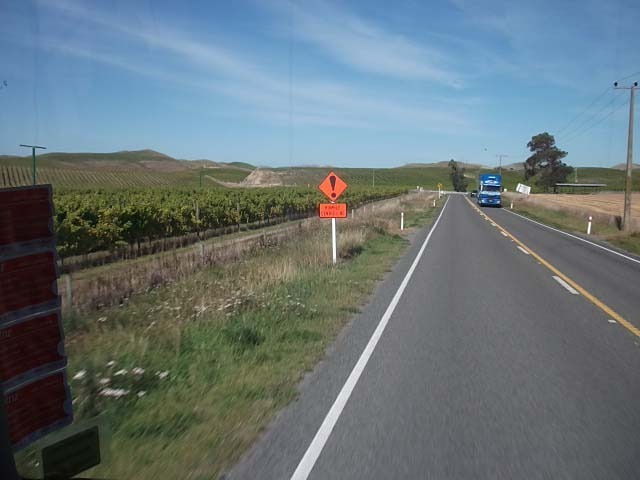 At the twin tunnels there is a sign asking drivers not to overtake trucks as they position themselves to enter the tunnel. 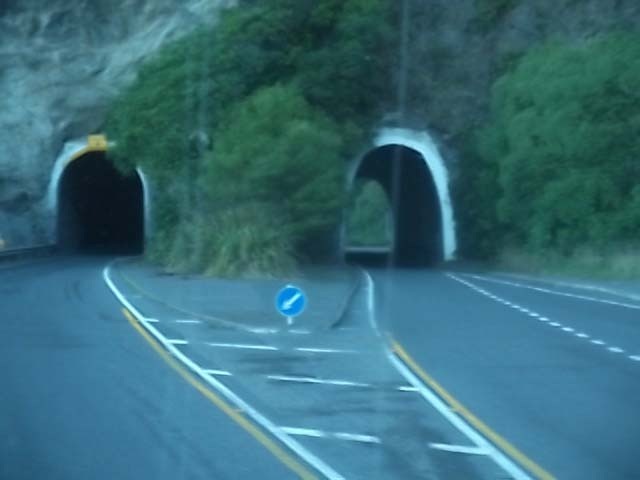 As they swing wide to the left to enter the tunnel apparently some drivers take it that they are pulling over and use the striped part of the road as a passing lane!!! 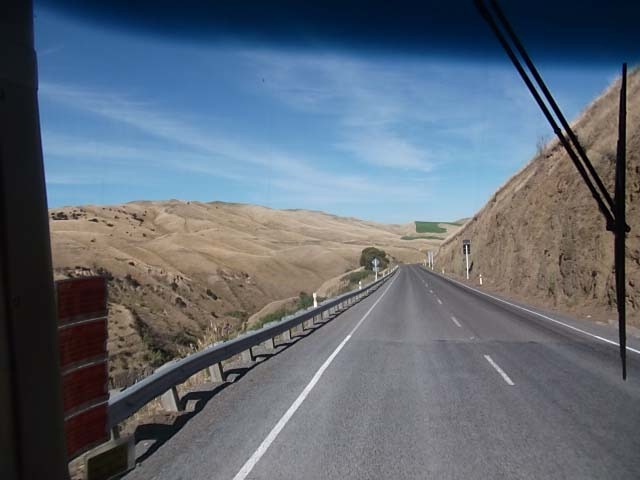 The road is hung on the cliff side for a number of kilometres. Easy driving providing some very nice views all the way along. There are also a number of spots where one can pull over and admire the view as well as the seal colonies between road and sea. And, of course, one can find a number of places offering the local delicacy. 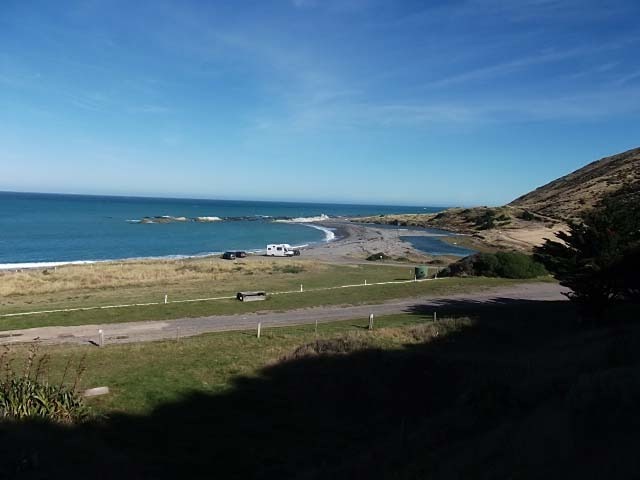 We headed through Kaikoura to South Bay where we stopped to empty the tanks, fill with fresh water and stop for a spot of lunch. At the recreation reserve at the end of north end of South Beach. There is a major outcropping of limestone at the recreation ground layered and obviously uplifted and tilted. 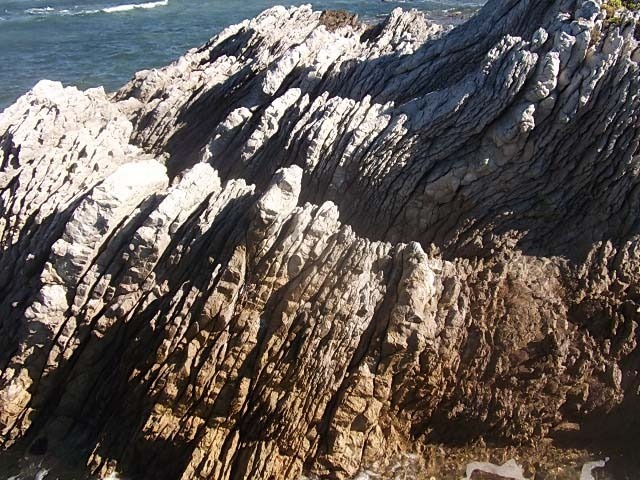 This leads to a very ridged, straight lined outcrop leading into the sea. 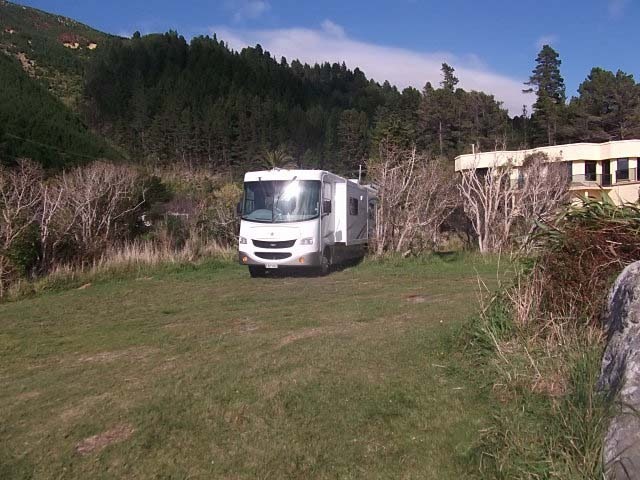 We decided to press on and head for Parnassus where there is a Motorhome Assn parking spot. We arrived later in the afternoon where another dozen or so vans were parked, it was not long before we wandered along to happy hour. This parking spot used to be the Parnassus School, all the school buildings have been removed leaving behind the admin block which is now available for members as a meeting room and a library of donated books and magazines plus a loo. There are plenty of grounds on which to park, with some lovely old large oak trees to provide shade in the winter. Although it must be said that with the number of acorns falling off the trees, you gain some empathy for Chicken Little! 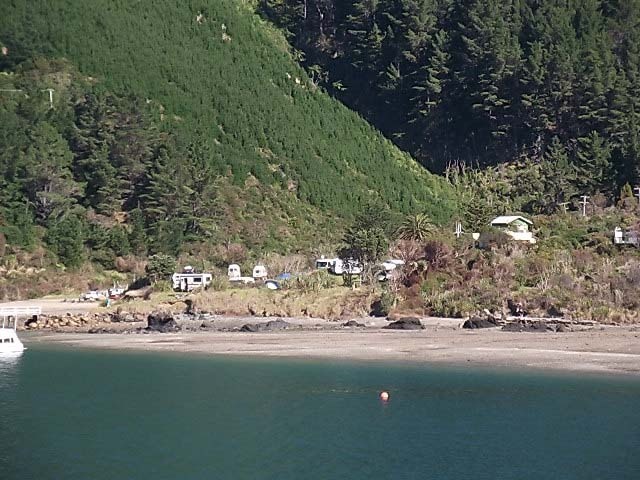 We have spent the last two days here and have made a couple of side trips to Waiau. Firstly to see Mark and Glynnis Paton. Mark worked with Roy at Kinleith some years ago (don’t ask how many) and we spent a lovely afternoon with them catching up. Then the next day we went to Sherwood Lodge to visit Pip and Craig. A very pleasant day was spent with Pip and we came home with fruit from their orchard (and thanx for letting us do our washing too!). On Saturday Mark and Glynnis came down to Parnassus and we spent a delightful afternoon sitting in the sun having lunch and generally discussing motorhomes, boats, computer stuff and life in general. A very nice way to spend a day with friends. The very interesting thing about Ward Beach is that it is the launch site for a number of local fishing vessels. 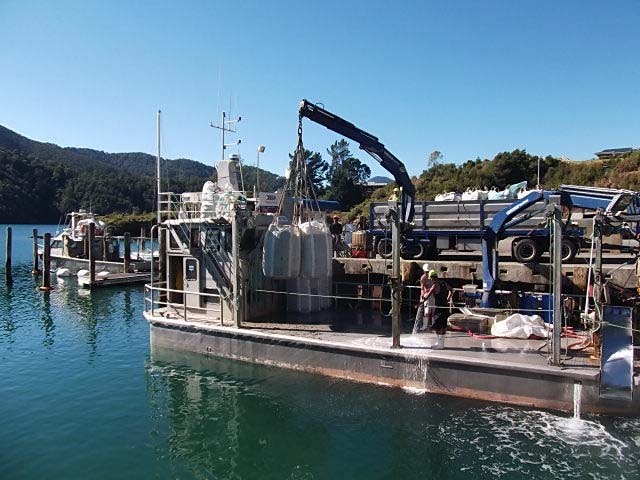 The really interesting thing is the manner in which the vessels are launched and retrieved back onto their trailers. It is all done via Bulldozers. 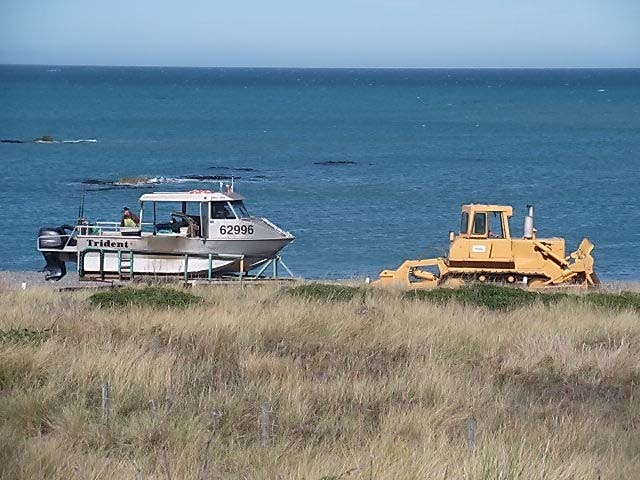 The Bulldozers are parked along the beach, then at launch time, the boats are retrieved form their sheds further along the road, brought to the beach via another vehicle, then hooked up to the Bulldozer and quickly launched into the surf. When it comes to haul out time, the boat comes right into shore, a ladder on the front of the boat is flipped down the bow of the boat and one of the crew stands on the ladder ready to leap off, the boat is brought right into shore, the crew member leaps off and flips the ladder back up onto the deck. He then goes off to get the bulldozer and trailer. 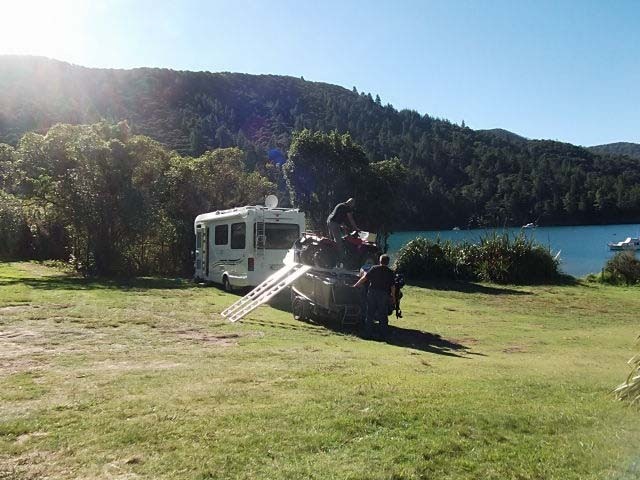 The trailer is backed into the water then within a few seconds the boat is driven straight onto the trailer and is immediately hauled out of the surf. 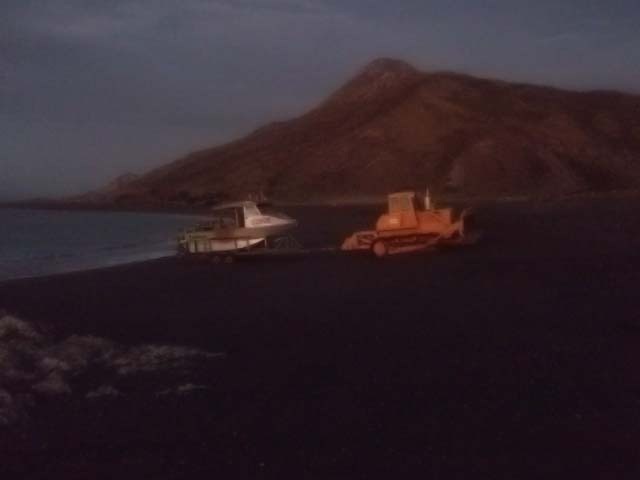 and towed along the beach to the waiting truck ready to take to the sheds. There should be a video clip here of the boat launching procedure however our internet connection is terribly slow so will have to upload it another day. 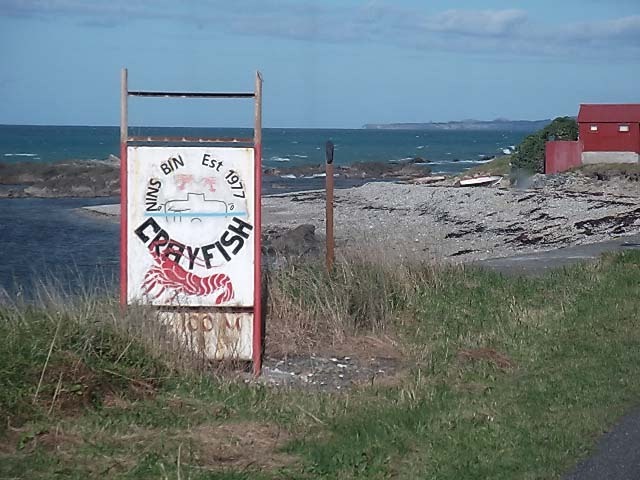 It appears that the main catch is crayfish, and is a thriving industry in this area. We are waiting for one to fall off the back of the truck but no luck so far!! The other interesting thing going on around us at the moment is Top Dressing on the farm behind us. 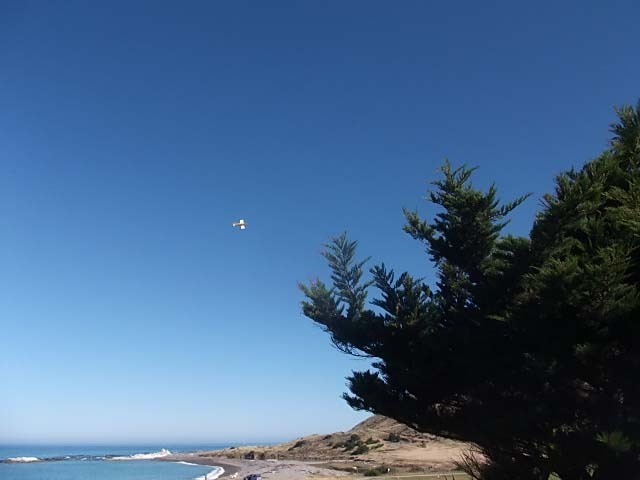 It has been quite difficult to capture on film as the plane is just too darn quick! Although difficult to see, there is the Top Dressing Plane in the back ground going between the two hills. It is just above the washing line and just below the line of the hills on the left. It kept some of us entertained for a little while. We have no internet connection here at the Beach, well no Vodaphone connection. Roy has Telecom coverage on his phone, but he cannot send texts but he can make phone calls! Go figure! So although we also have a Telecom stick for emergency use, we reckon that as no texts can be sent, then the likelihood of internet data is also unlikely to be available. So instead we head off 5 minutes up the road to Ward township to see what connection is like there. 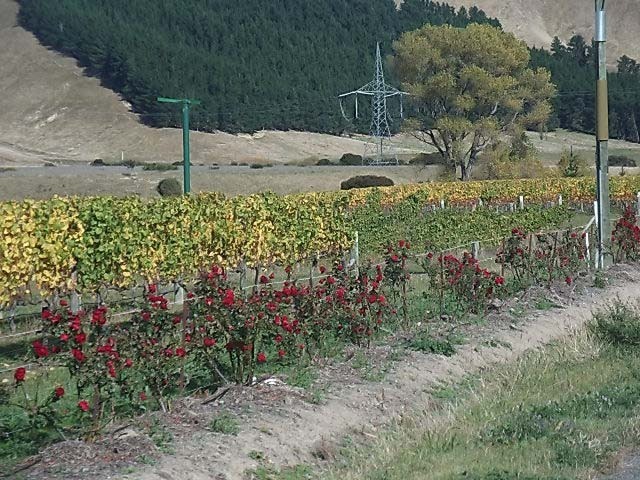 We travel through Flaxbourne, a farming area where some of NZ’s first large farms were developed. A thriving community once lived here, with a huge Tallow plant and up to four flax mills in production. All that remains are the farms. 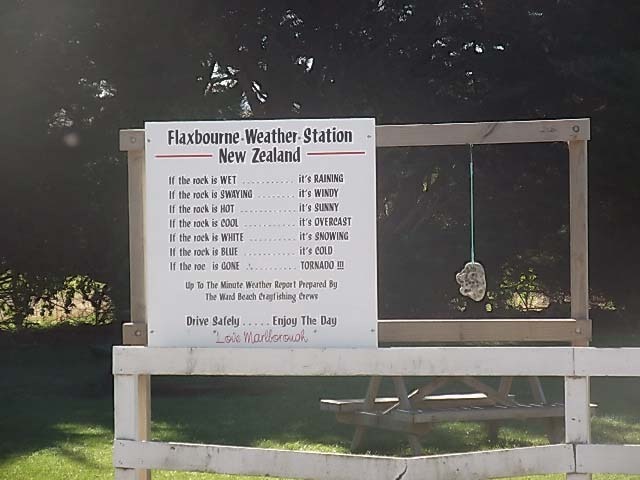 At the Ward Shop, (yes, there is just the one shop) you can have a crayfish meal for $35!, we found the Flaxbourne weather station. The picture says it all! 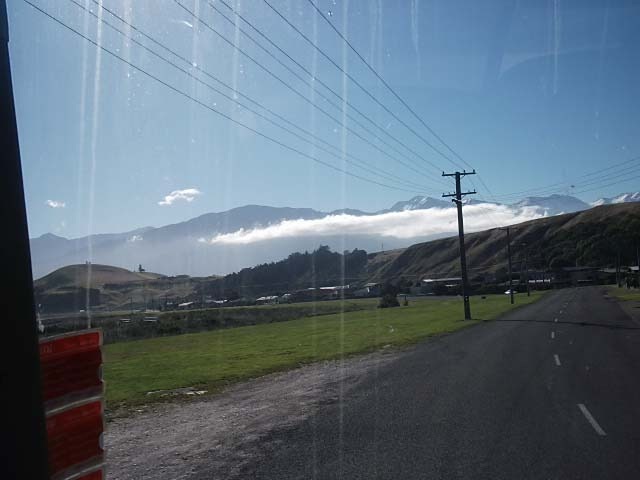 The internet connection in Ward was not very good, and as we also wanted to buy a few provisions, we decided to take a drive up to Seddon. Internet connection was good, so emails cleared, then onto to get a bit of shopping done (including getting some bait for the fisherman) then back to Ward Beach. Time for a bit of fishing before dinner and an evening of relaxing. And just so that the late riser of the touring party can see what sunrise over the sea looks like, here it is! Oh, and still waiting on fish to be caught! 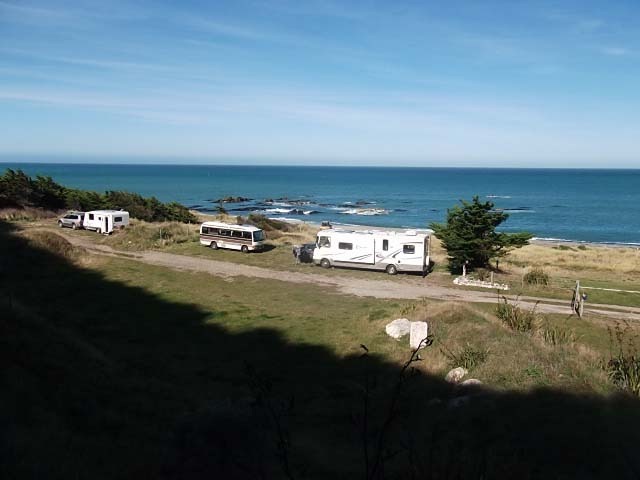 We left Ward Beach on Wednesday 18th April (Roy’s Birthday) and headed toward Kaikoura. Not sure if we will stay there or head on to Parnassus. 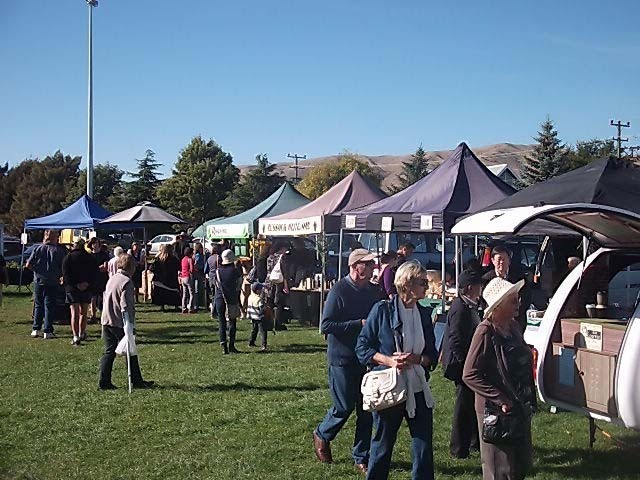 Sunday morning and off to the Blenheim Farmers Market. It helped that the day was yet another glorious autumnal days with not a cloud in the skies. This really is a lovely market, and it feels so much nicer to have the market on grass. 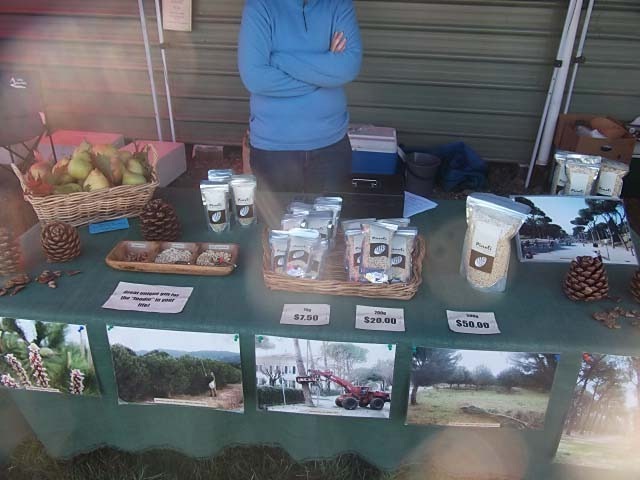 The stalls were abundant and had everything from coffee to veges to fruits, to nuts, meats and cheeses, with plenty of seating and tables set up right around the market. We bought some lovely bacon, free range eggs, a delightful soft curd cheese that goes oh so well with the divinely ripe figs we also purchased, plus a wonderful soft brie style cheese with a blue mould “toad skin”. It was reminiscent of being back in France. 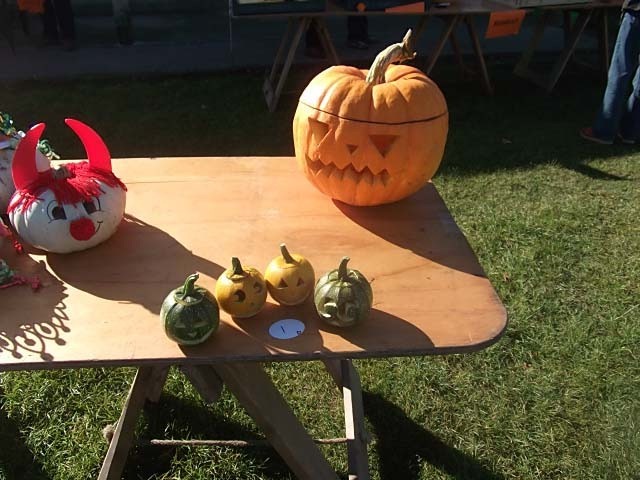 And of course with this being Autumn, there were all the pumpkin competitions, from the fancy dressed pumpkins to the biggest, smallest and more. We returned to the van and were quickly packed up and on our way. First stop was to the dump station and to fill up with petrol. that done we were off. We had planned to head for Marfells Beach, a lovely spot where we have stayed previously, however, on reaching the turn off just past the Grasmere Salt Works, it was blowing a gale and so we decided to head on over the hill to Ward Beach. 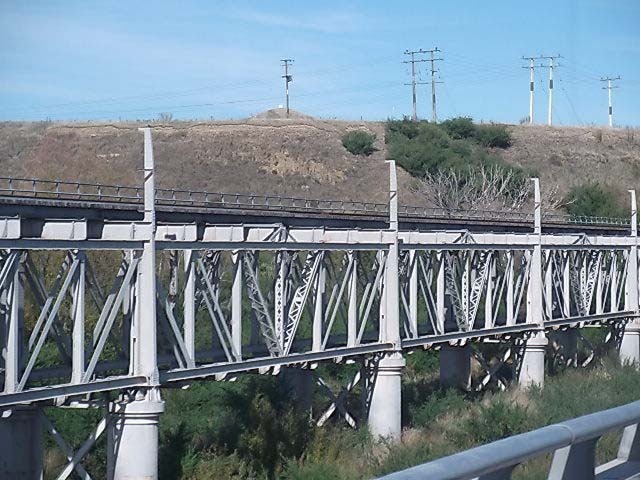 The last time we headed over this way, we had to travel over the rail/road bridge, now there is a new rail over bridge with new road alongside. 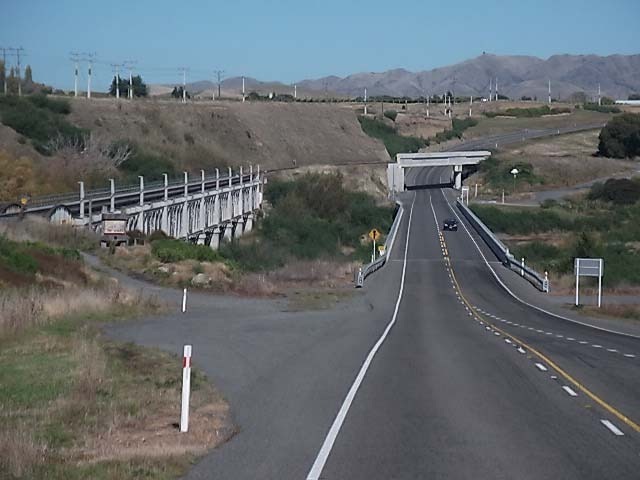 The first photo shows the road alongside the old bridge and the new rail bridge over the road, and the second photo shows the old bridge where the rail is on the top level and the road underneath. 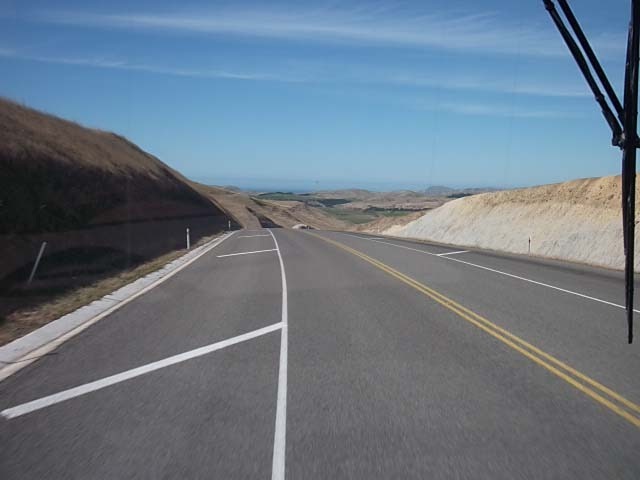 Another bit of new road realignment is over the Lion Saddle, the last time we came over it, it was still under construction, now a stunning piece of road which affords great views once you reach the top. And yet another road improvement in this part of the country is the introduction of ‘rumble lines”. These are a little different to the ones that are placed further down the country i.e. Christchurch and south, as these rumble lines are positioned in the centre lines. We have always wondered as to the point of rumble lines along the side of the road, the centre makes much more sense. 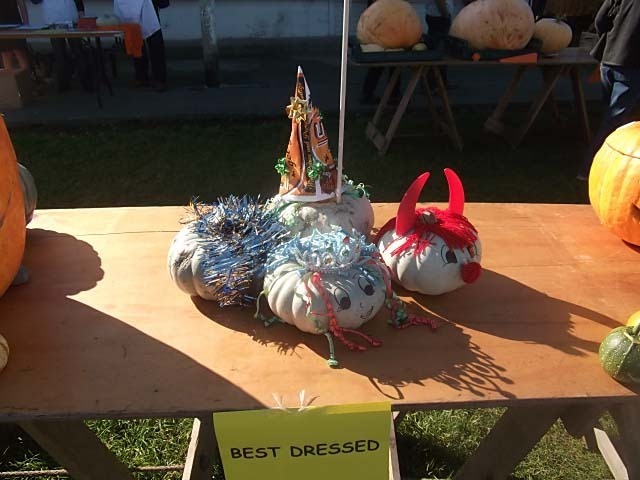 Well done Marlborough! Sign indicating ‘Centre Rumble Lines’. 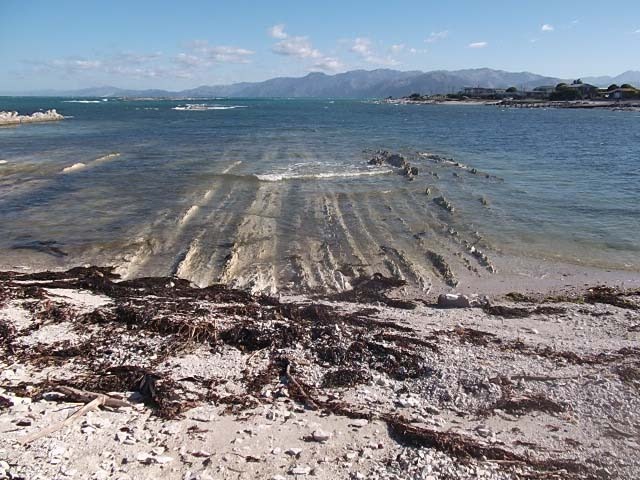 We turn off the main road and head out to the coast to Ward Beach, a very pleasant drive with only the last 1km a gravel road. 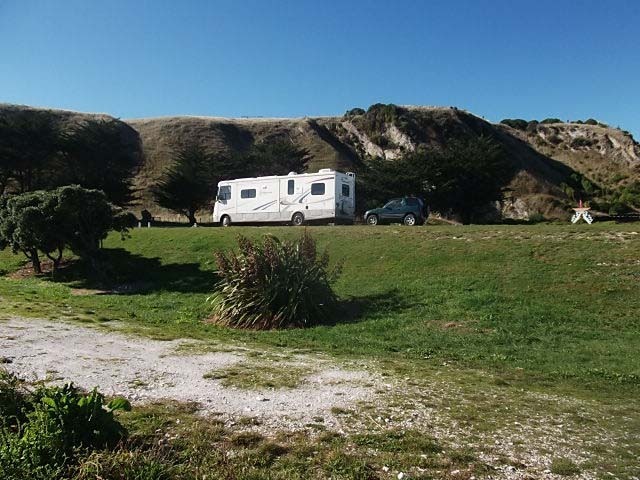 Here we are parked up at Ward Beach, a stunning spot. and the view looking south. Woke up this morning to find a barge pulled up to the shore. This will be interesting as it looks as if they are about to load stock. But no! They proceed to back off and move into the bay. A little later they are seen to be lifting and shifting some of the moorings in the bay. 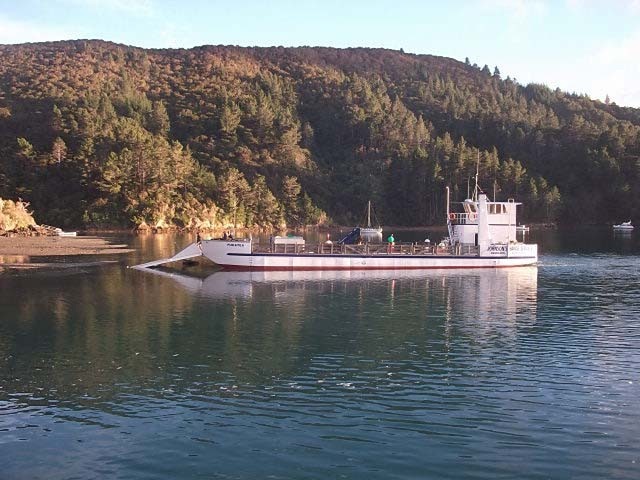 Obvious use for a barge, how silly to think it would be used to move stock. 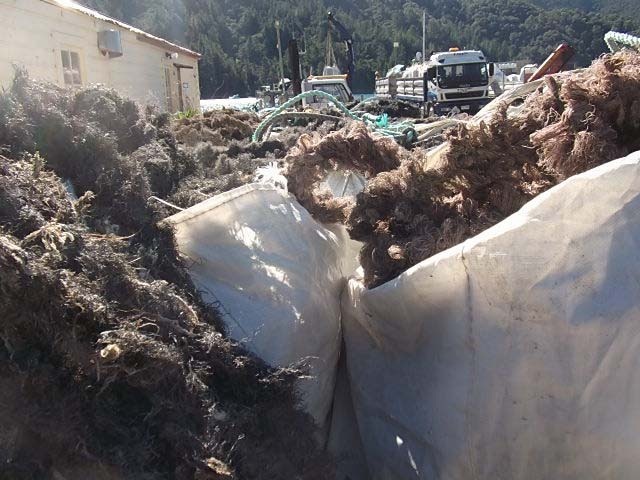 After consulting a local, we were told to head off at around midday today as the logging trucks would be off the road by then and the mussel trucks would be on their way out of the Bay hopefully making the drive out as least stressful as possible. So with this in mind, we duly set off and had a hassle free run through to the main road. We arrived in Havelock looking for somewhere to park for a night as we were to be meeting with Roy’s cousin who lives just out of Havelock. With NO CAMPING signs in proliferation, we ended up at the motor camp plus it also had the only dump station in town. A $5 charge for the pleasure of the use of their dump station, $30 a night for a powered site and $24 without power. 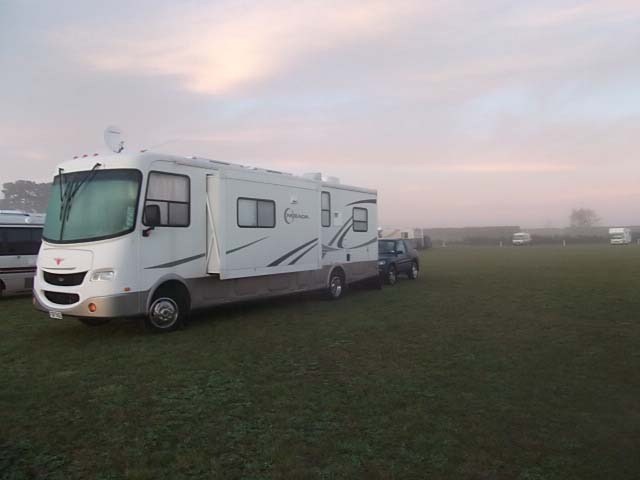 And motor camps wonder why we don’t choose to stay with them when we have all the facilities we need on board, we are only looking for somewhere to park! But with no other choice, we ended up staying. Oh well, we thought, we will enjoy their facilities and have nice long showers….but oh no, the showers were coin operated! Harumph! Parked up, we then headed out to Michael & Judy’s place just out of Havelock. Now it is 40 odd years since Roy had seen Michael, and it was time to catch up on family history. 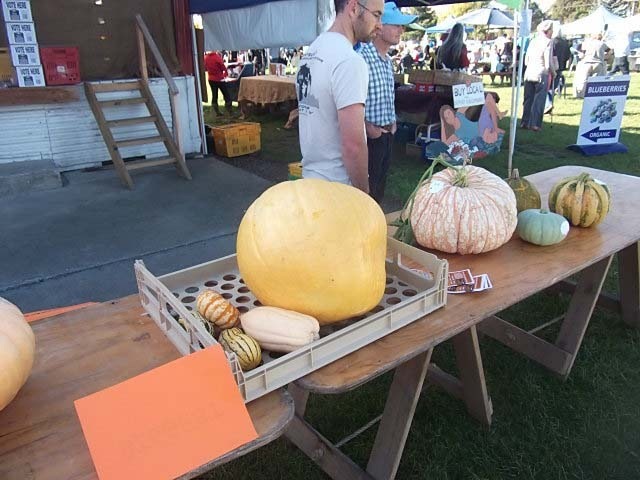 Roy’s father and Michael’s mother were siblings, and having been born in Blenheim and raised in the Kenepuru Sounds it seemed they had come full circle. Lots of talking and catching up ensued over the rest of the afternoon and well into the evening. We did not stay on too late as it was only 6 days since Michael had had a hip replacement so we were mindful of not overstaying our welcome. Off back out to see Michael & Judy before we packed ourselves up and headed off to Blenheim. 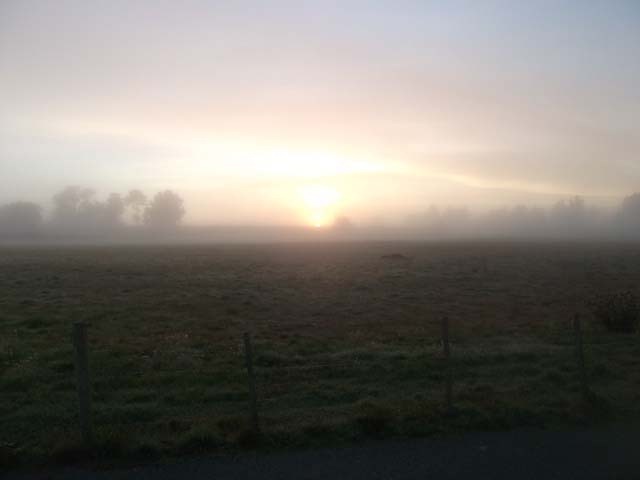 We arrived at the Blenheim Racecourse, quickly got ourselves established before we headed into town to pick up a few essentials, including a local map. We now have reasonably reliable internet access again, which is just as well as Roy needs to get some work done. Just as well it is raining today as it makes you feel less guilty about being indoors. 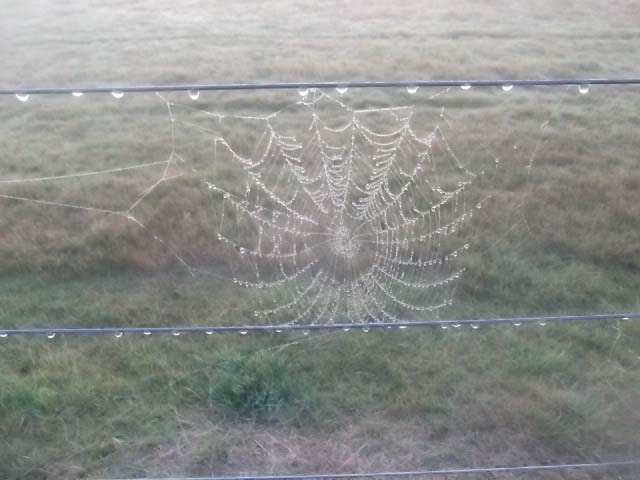 Actually, this is the first rain we have had since Franz Josef – 8 weeks ago! Another day of getting bits and pieces done, it is amazing how the days seem to whiz on by. We got our replacement chairs today, although we came to a bit of a problem whereby we could not fit the old ones in the RAV, nor could we fit the replacements, albeit one at a time which meant a messy few trips. However, the wonderful salesperson came to the rescue by offering to come by on her way home from work with the new chairs and would pick up the old ones. 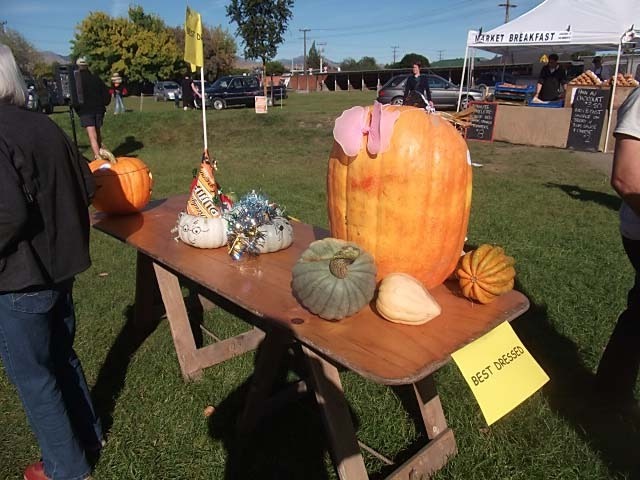 Well done Kelly from Smiths City in Blenheim. 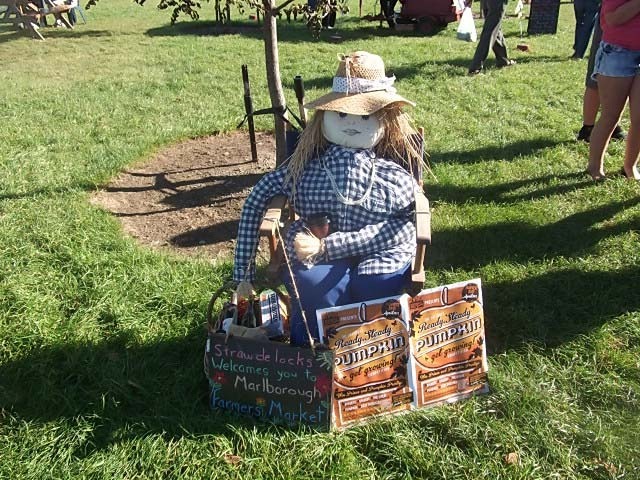 Roy went off to the junk market this morning to check things out, but we are waiting for the Farmers Market tomorrow morning. Then we both headed off into town to check out a few things, and then off for a wee tiki tour. Back early afternoon where Bernice spent the afternoon reading and Roy continues on with learning new computer language and rewriting a programme. Last night we managed to catch up with Chris, a friend I met through Altrusa many years ago. 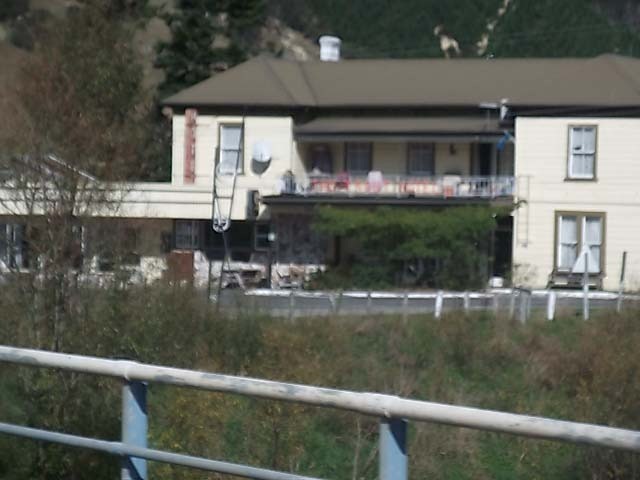 And fate would have it that Kevin & Faye bought Chris’ house that she built overlooking the boulder bank in Nelson – small world. Chris, Roy and I wandered across the road to the Waimea Club where we had a very nice meal and spent a pleasant evening catching up before Chris headed off home. It seemed to take us forever to get on the road today. After packing up and saying our farewells to June & Ian, it was off around the corner to the dump station where we proceeded to empty the tanks. As the dump station was on a slight slope, to ensure that the said tanks were in fact completely empty, we emptied on one side then turned the van around and emptied facing the opposite direction thus ensuring that the tanks were indeed completely empty. 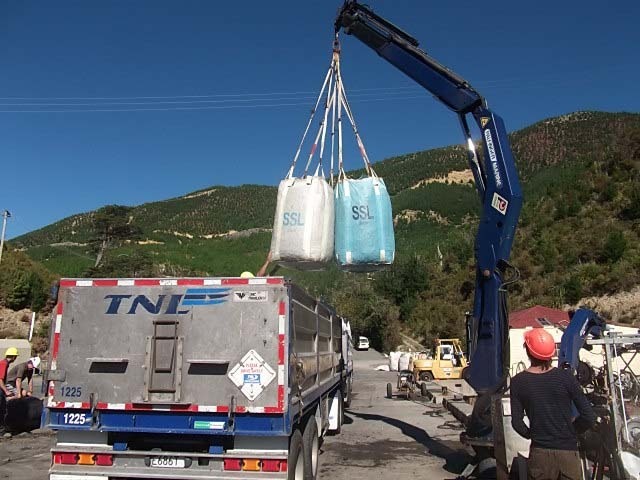 We then just need to fill with fresh water before finally heading out of Nelson. We stopped at a very pleasant rest area along through the Rai Valley for our lunch break before continuing on. 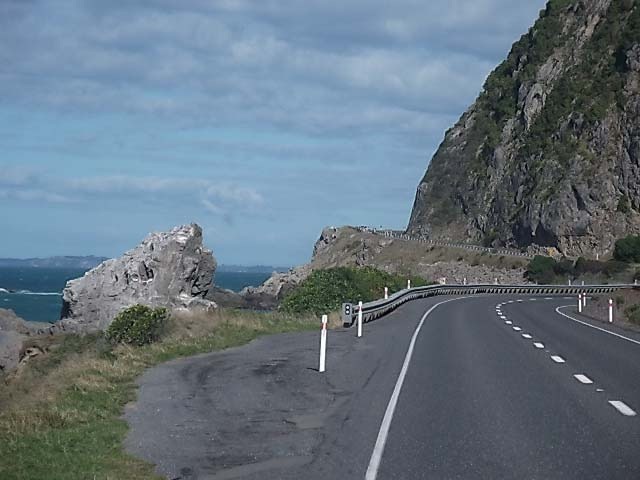 A very pleasant drive through to the turn off to Okiwi Bay and Elaine Bay before heading over some very ‘interesting’ narrow, and windy – no, not windy as in blowing a gale but windy as in twisty & turning – roads. and another view along the way with the photographer snapping the only tree in the foreground along this particular route! 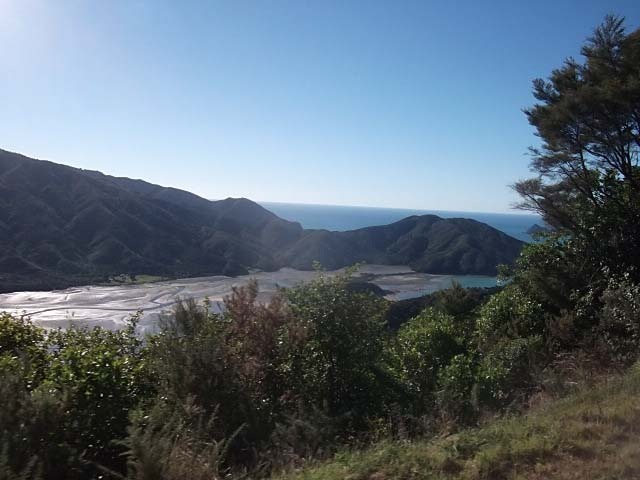 The fact that it was a glorious day made the drive pleasant enough, although on the final climb down into Elaine Bay on a very tight corner in which the road almost turned back on itself, we very nearly came unstuck. 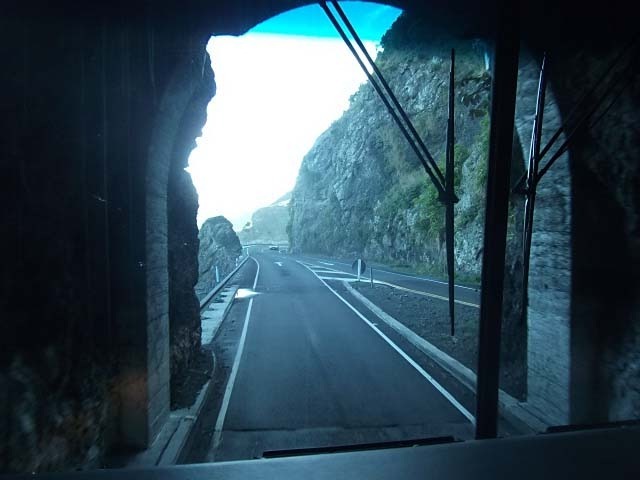 We stopped in the middle of the tight corner as Roy thought that he was unable to complete the turn without going over the edge (vertigo coming to its fore), but after inspecting the situation, with gentle coaxing we made it around the bend and into Elaine Bay and the parking area. 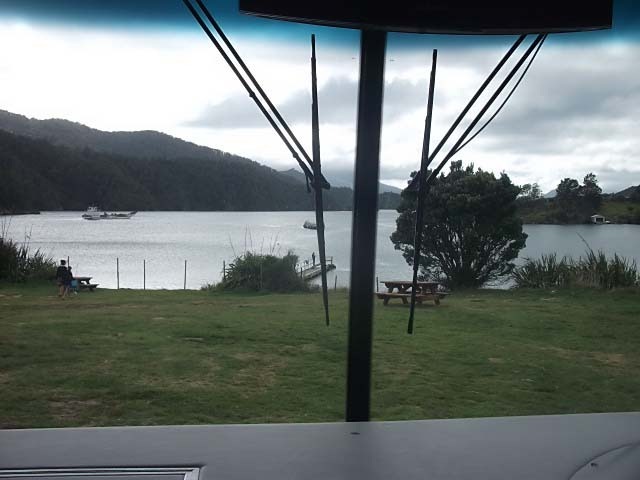 We quickly sorted out a spot in which to park which gives us the most stunning views from the front windows straight down onto the jetty and up the Sounds. The water almost looked inviting enough for a swim but on closer inspection there were a few of these fellows in the water. 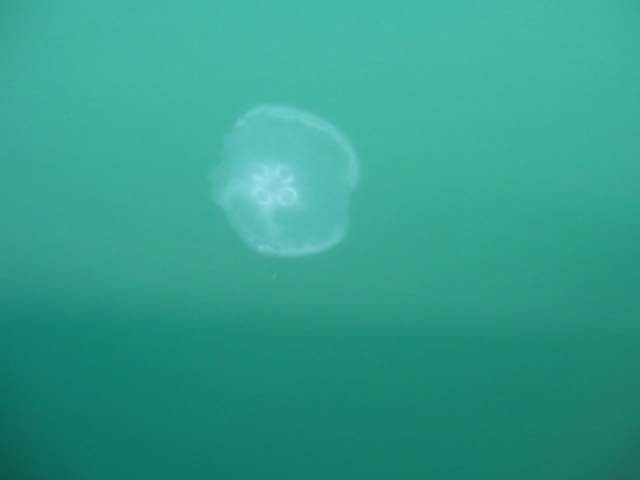 Jelly fish in the water, note colour of water. 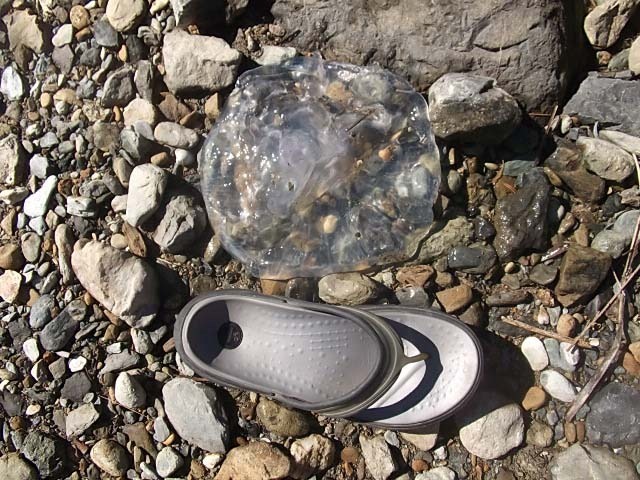 and on the shore with Roy’s jandal for sizing comparison. parked up, that’s us on the upper left. As more vehicles arrived later into the previous afternoon and evening, we realise that our spot here is truly primo. 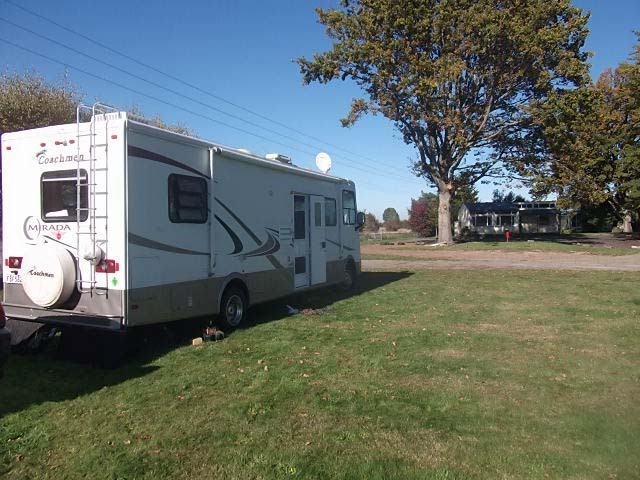 We have level ground above the rest of the gently sloping site with amazing views. There is a hint of a cloud far on the horizon, the outside temperature is well into the late 20’s, and to top it all off all we need now is some fish! 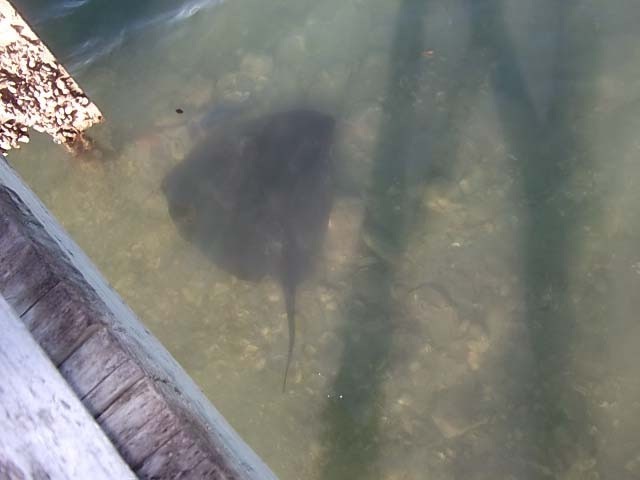 Off the wharf the afternoons entertainment is usually spent by watching a group of stingrays swim around and around, one in particular is enormous with it being around 2m across. No fishing done off the wharf at this time, although we do get a good feed of mussels and oysters. Unknown flowers founds along a walk. 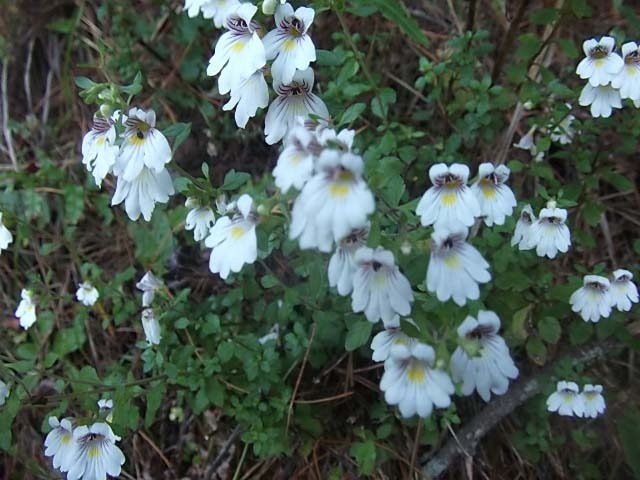 They are very small, about 1.5cm. Can anyone enlighten us? Even more people come and go today, the wee camp spot is almost bursting at the seams with lots of vans, tents and caravans. 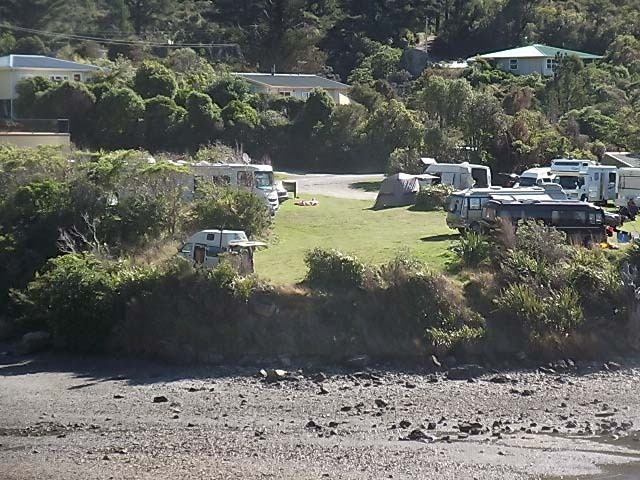 Although this is a DOC campsite and there are very clear ‘No Dog’ signs in place, it seems as though a few people just choose to ignore the signs. And it also seems compulsory that all the breeds of dog must be a small, white, fluffy, yappy things with names like Buddy – yes, Buddy was constantly being called!!! 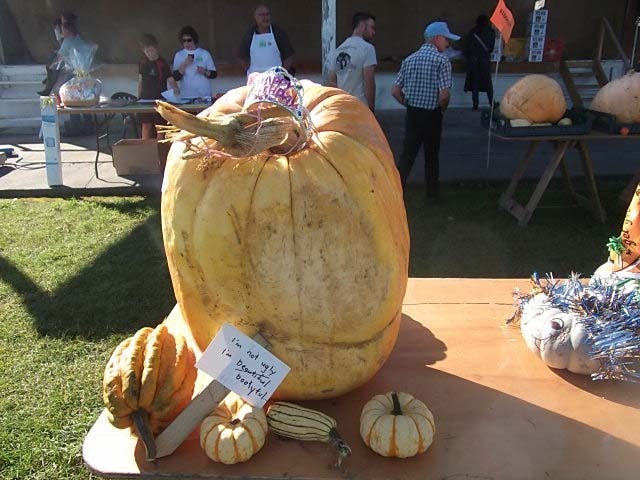 Oh yes, and one of us had a terrible headaches as well as other aches and a sore throat….thanx Kevin for passing that on….which probably explains the tetchiness! Fishing. 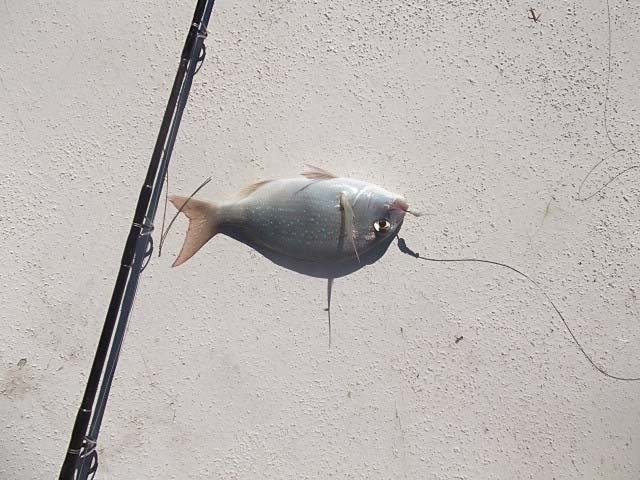 It must be said that the fisherman has been out most days trying his luck off the wharf or the rocks, although he has not landed any to keep, he is catching the odd few. 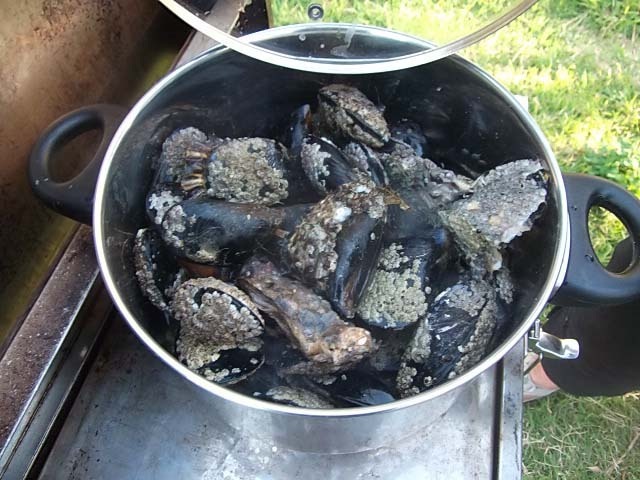 Tonight’s entree was a lovely feed of tuatua/pipi – I can never remember which is which! 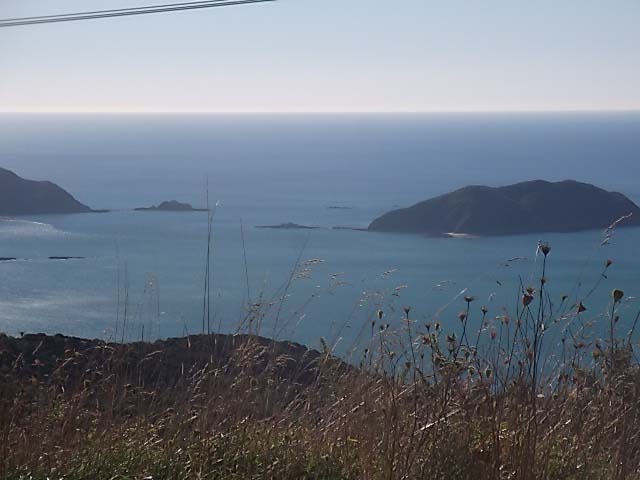 Another stunning day, so we decide to go for a drive on out to French Pass to see if we can see the tidal whirlpools. 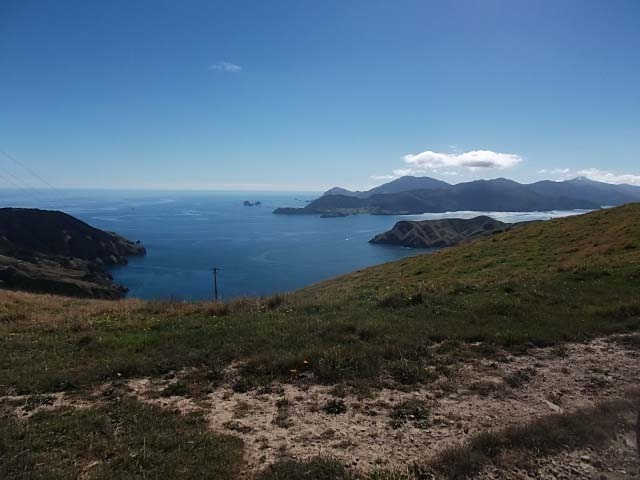 It is around 22kms from Elaine Bay, and we set off with great intent, however, as the road became more and more open, with sheer steep drops (stunning views), the vertigo suffering member of the party decided that that was enough, we had only got half way so we turned around and headed back. Roy was dropped off at the turn off to walk back to Elaine Bay whilst I ventured in to Okiwi Bay to get milk and a few other essentials items. 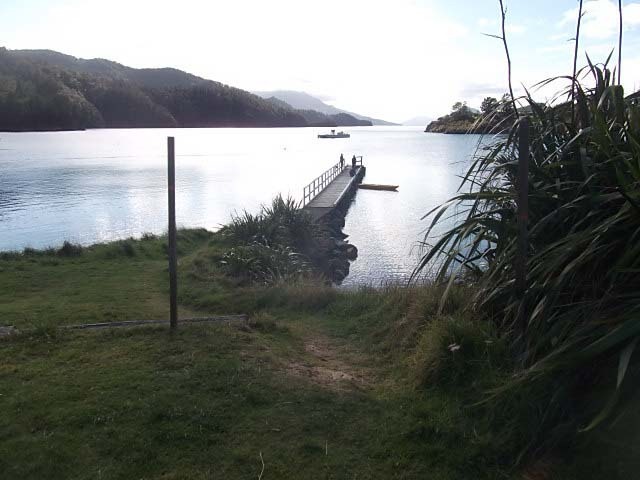 Further round from the camp site is the wharf where they (un)load the mussels. and onto the back of a truck and trailer unit. All 28 tonnes of them. Another stunning day in paradise, the locals tell us that they cannot remember an Easter period like this with the weather so glorious. Another day of doing the usual, a few chores thrown in for good measure. By early afternoon, the camp emptied and we were left on our own, not for too long though before one other van came to join us for the evening. However, we have seen what we need to tow behind the van, behind the RAV4! A boat, complete with small 4×4 on top of the boat. and here, you put down the ramp and drive it off, hitch it onto the boat and head down to the launch ramp. Now, did we win Lotto this week? And sight of the week? 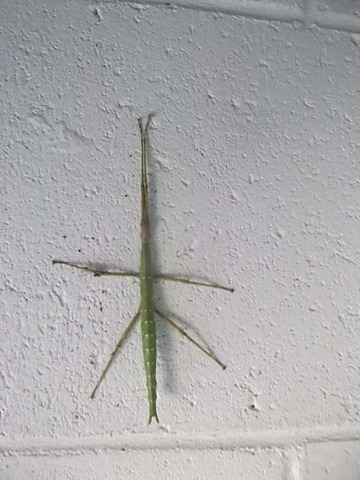 Stick insect seen on the loo wall, note the size from the width of the concrete block! Ok, so we have been a bit slack, but what with one thing or another, there has been other things to do rather than blog writing. 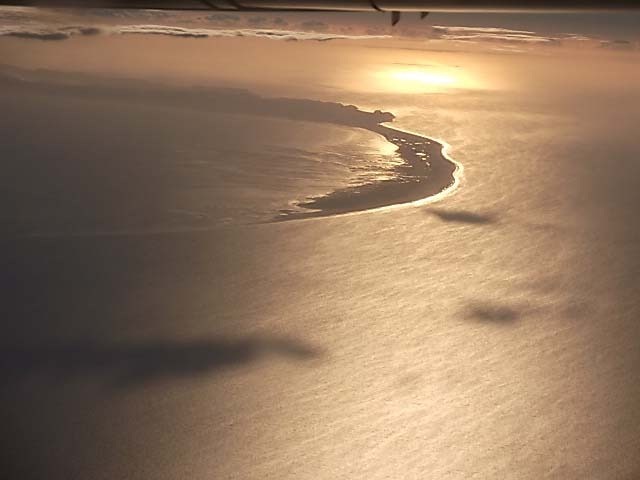 We flew to Auckland on Wednesday 21 March, having been dropped off at Nelson airport by Ian a fellow motorhomer, we were met at Auckland airport by Jacky and were soon back in the old neighbourhood. Lots of catching up ensued over the next few days with friends and family. Wednesday night we had dinner with Jacky and Chris at home. Thursday we headed into Ponsonby for a meeting with our Accountant, then it was meet up with Antony. 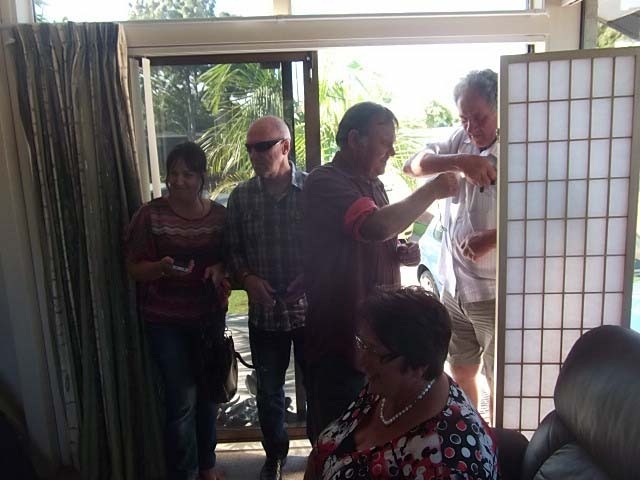 Leslie happened to be in Ponsonby that morning so we all met for lunch followed by us splitting up with Roy heading out to Ardmore to see some clients whilst Ants and Bernice headed off with Leslie to the Shore for a bit of retail therapy before dinner with Steve & Les. Friday was more a bit more retail therapy with Antony and Roy making sure they would be well kitted out for the wedding. Then it was back to Jacky’s for some serious cooking for dinner we were having with the old “Gorm” crew! A starter of Apple & Fennel Salad (yes, it was supposed to have coconut crusted prawns with it but I ruled them out cos prawns don’t like me!!!! ), followed by a Rib of Beef, with caramelised shallots, wilted spinach, potato & blue cheese rosti and steamed beans. To finish we made a Hot Cross Bun bread & butter pudding with espresso anglaise, caramelised fig and toffeed walnuts. This was all mixed with the usual fun, talk, singing and generally playing up! Plans were made to meet up later in the year, and plans to get together for a reunion camping trip next summer!! I have opted NOT to put the video in here of us all singing those glorious songs, including the classic “Always look on the bright side of life”, but copies can be obtained for a small sum! 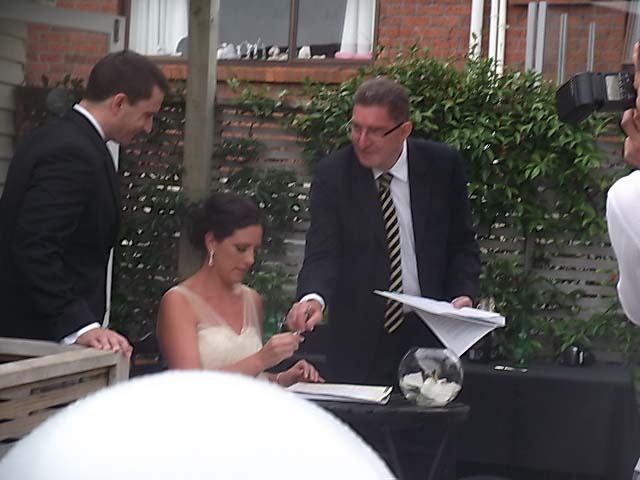 Saturday and the day of the wedding. Although the weather was not particularly good, it was not raining which was a plus. 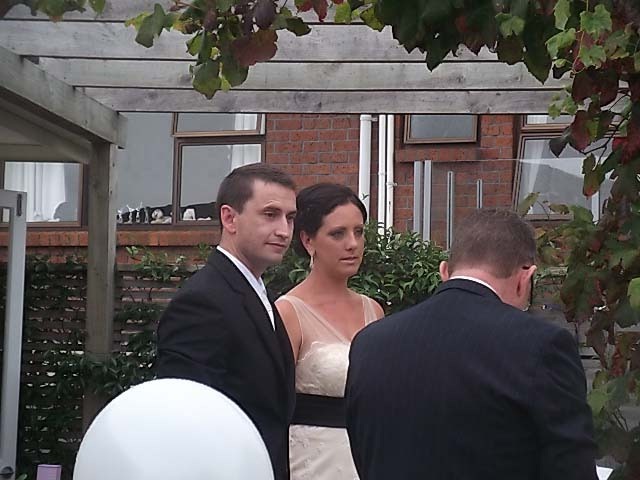 The wedding took place at Steve and Les’ home, a lovely setting and the bride duly arrived a looking absolutely stunning. 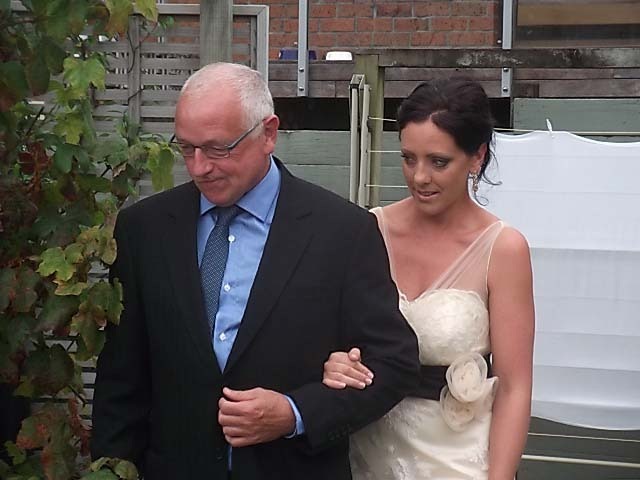 Bride escorted in by her proud Dad, Steve. 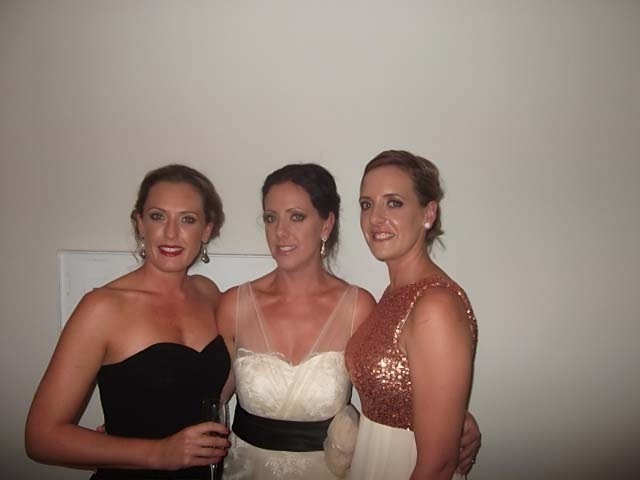 Three beautiful sisters, Erin, Sarah and Frances. A great afternoon and evening ensued. Sunday and a lunch date at Eastern Beach with the old Howick crowd; Bill & Estelle, Ron & Jan, Bill & Linda and Malcolm & Pat. A great afternoon was had with lots of talk and laughter. And afterwards at Bill & Estelles. Sunday evening we were supposed to be catching up Jocelyn, a friend up from Oamaru at her daughters place, however Mairi was ill, so dinner was cancelled. Actually, we were rather relived as we were feeling rather weary by now. Monday and dinner with Simon and Antony in town, good to meet up and catch up with them both over a lovely meal at O’Connell St Bistro. Tuesday and a relaxed day, Leslie came over for dinner, homemade pasta with a lovely lemon sauce with a simple rocket salad – delicious and just what was needed after a week of full on dining out! Wednesday was another chillout day, although I did get a new rack for my oven! The oven only came with one rack so now I have two. We flew back to Nelson that evening and were picked up from the airport by Ian. 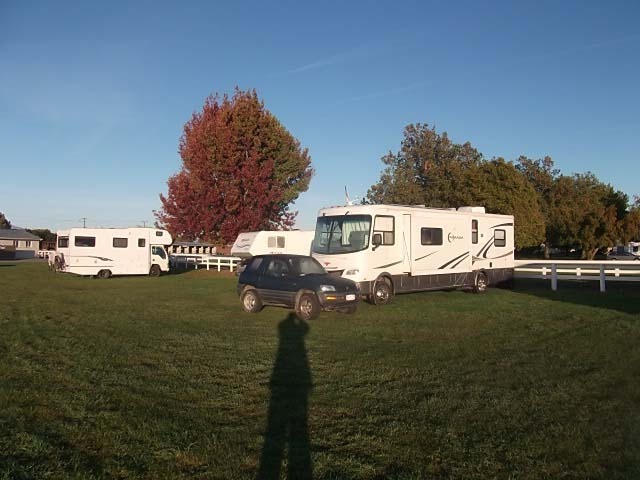 Back to our parking spot at Richmond racecourse where we found friends Pat & Sue had arrived to join us, and so were Margaret & John. In fact we felt rather special, as each of them had text us earlier in the day offering to pick us up from the airport. This past week has been spent picking tomatoes, onions, peppers, eggplants, zuchinni, chillies etc which have all ended up as chutneys, relishes, pickles, jellies and passata. The joke around the motorhome park is that we now need a trailer to tow behind the RAV behind the van!! 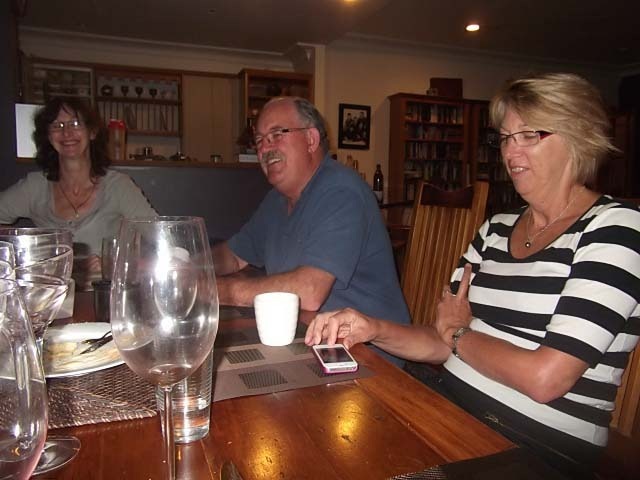 We have also caught up with Kevin & Faye again, and made the most of things by inviting ourselves to their place to watch the netball over the last weekend. We have been to the markets, checked out the bookshops and caught up with a few things. 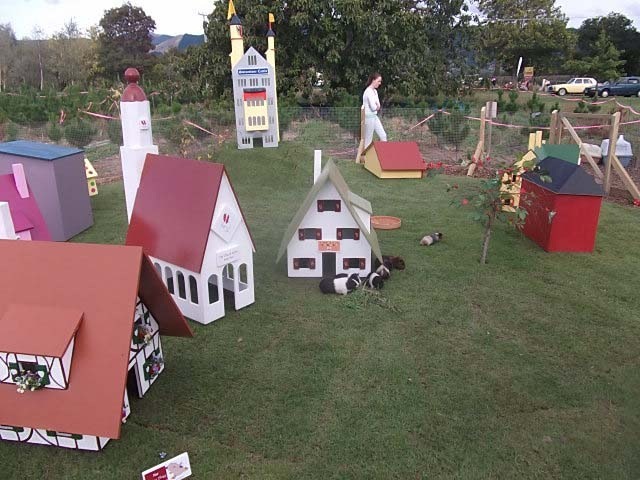 Seen just down the road, a village for guinea pigs! We have been waiting around here in Richmond for replacement recliner chairs to arrive for the van, but we have waited long enough and will now pick them up in Blenheim in the next week or two. 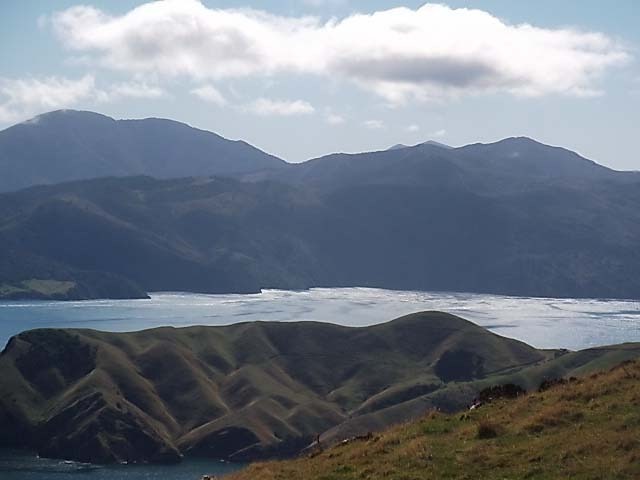 So tomorrow, Thursday 5 April, we will head off from Nelson toward the Marlborough Sounds. 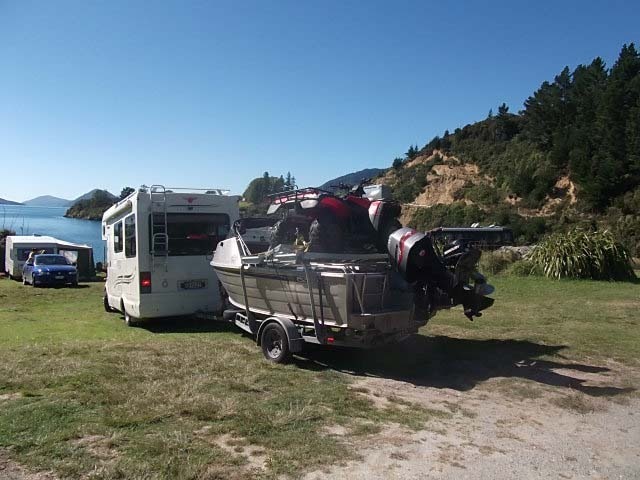 We are heading to Elaine Bay, so hopefully will get a bit of fishing done. Not sure of cell or internet reception there so we may be out of touch for a few days. PS. 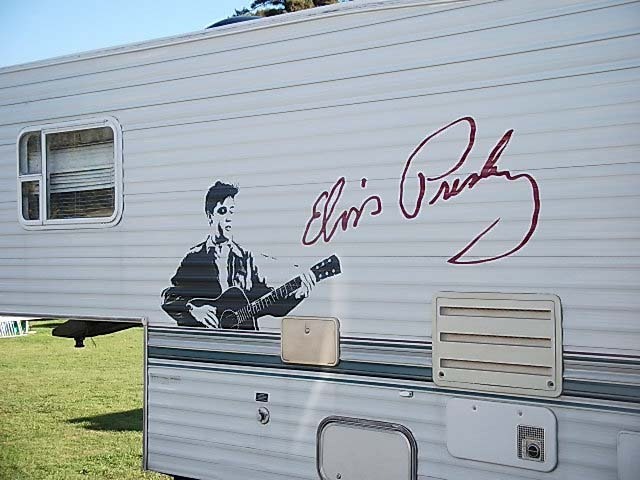 This just for Chris…….camping with the King!